Visually appealing, conceptually startling, and intellectually engaging-these phrases aptly describe the art of Liliana Porter. Florencia Bazzano-Nelson's study focuses on the principal theme in the Argentine-born artist's work since the 1970s: her playful but subversive dismantling of the limits that separate everyday reality from the world of illusion and simulacra. Over the years, Porter's own evolving interest in perception lead the author to explore a series of interconnected and timely issues in her artistic production, such as the representative function of art, the structural links between art and language, and the witty re-signification of the art-historical images and mass-produced kitsch figurines she has so often featured in her art. 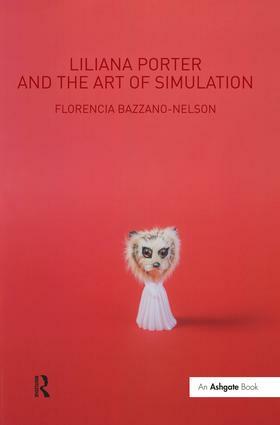 Strongly founded in critical theory, Bazzano-Nelson's approach considers Porter's art as the site of conceptually exciting dialogues with Jorge Luis Borges, René Magritte, Michel Foucault, and Jean Baudrillard. Her carefully crafted interdisciplinary analysis not only combines art-historical, literary, and theoretical perspectives but also addresses the artist's work in different media, such as printmaking, conceptual art, photography, and film. Contents: Introduction; Liliana Porter's personal journey; The Magritte Series; In search of imminemt revelations; The subversive inner child; Malice in wonderland; Conclusion; Bibliography; Index.